Crucial Environmental Ltd. is an Environment Agency registered asbestos removal company serving the UK from its bases in Sussex and Nottinghamshire. We have built a strong reputation by providing a service for our customers that is to the highest technical standards whilst demonstrating an attention to safety, quality and value that is second to none. All of our operatives are fully trained and certified in all aspects of asbestos services, complying with all regulations which are meticulously adhered to and monitored. Training and medical observation is undertaken on a continual basis in line with health and safety requirements to ensure that the highest technical standards are maintained. Crucial Environmental Ltd. recognise that environmental awareness and legislative-consciousness are paramount in the removal and disposal of asbestos. By ensuring strict compliance with current legislation, site personnel and the general public are safeguarded through safe removal techniques with the secure movement and removal of waste. We take care of all the paper work, from registering the site with the Environment Agency, through to providing consignment notes from the waste disposal giving you peace of mind that the hazardous waste has been disposed of legally and in the appropriate manner. 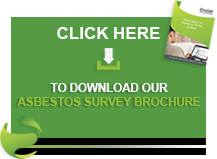 This effectively enables us to protect our clients from the legal implications of dealing with asbestos. From our base in Sussex we cover all of the following areas: East Sussex, West Sussex, London, Hampshire, Kent and Surrey. From our base in Nottinghamshire we cover most of the Midlands and the North of England. Call us on 01903 297818 or complete our contact form today!